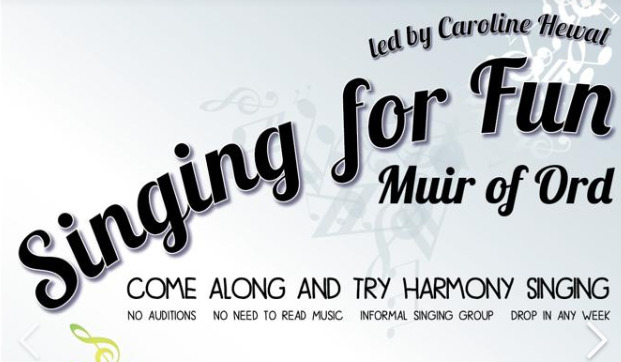 The Singing for Fun group meet every Monday evening from 7.30pm and will be led by Jessica Bates. These are informal singing evenings with a group who share a collective love of singing where every voice is welcome. The group are always looking for new voices to join. For more information call Morag on 01463 870 848 or Lizbeth on 01463 870 865.